Each year on December a religious celebration is held at the site of Rumi’s tomb, to which tens of thousands of pilgrims come. In the shrine there is a silver plated step on which the followers of Mowlana rub their foreheads and place kisses. This area is usually cordoned off but is opened for these devotional actions during the December pilgrimage festivities. 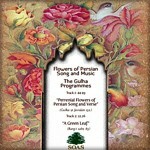 Golha Radio Program, broadcast from 1956 through 1979, covered the entire history of classical as well as contemporary Persian poetry, giving marvelous expression to the whole gamut of traditional Persian music and poetry. 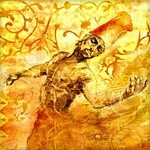 Digital archiving of all the Golha radio programs is being conducted for access by academic researchers of Persian music and literature and the public at large.